As a top Westmount real estate agent, Christina Miller has sold over $500 million in real estate since 2006. 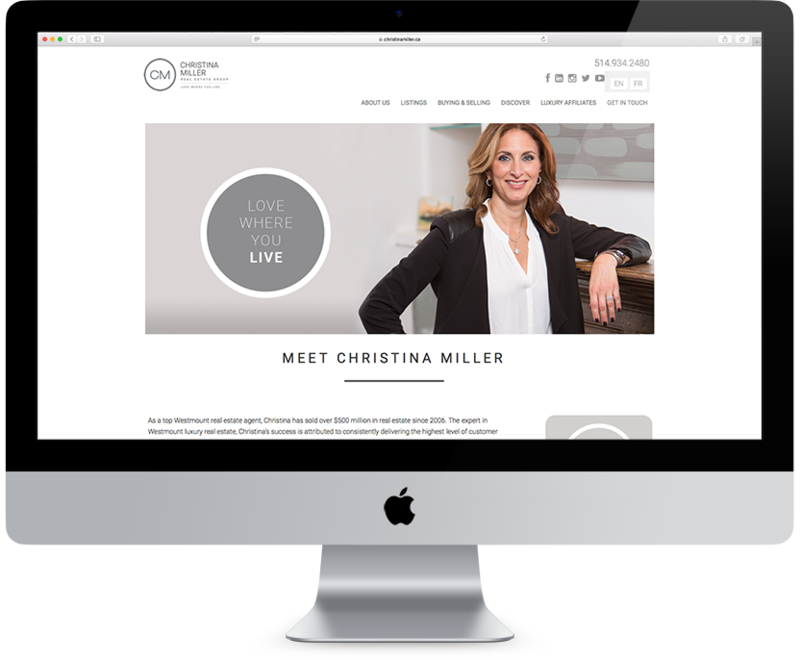 The Christina Miller Real Estate Group approached Sociation for real estate website development and custom web application development with the goal of strengthening their online presence and reaching their target audience. It was important for them to work with a company that could provide both design and technical support, as well as one who truly understood real estate website development. 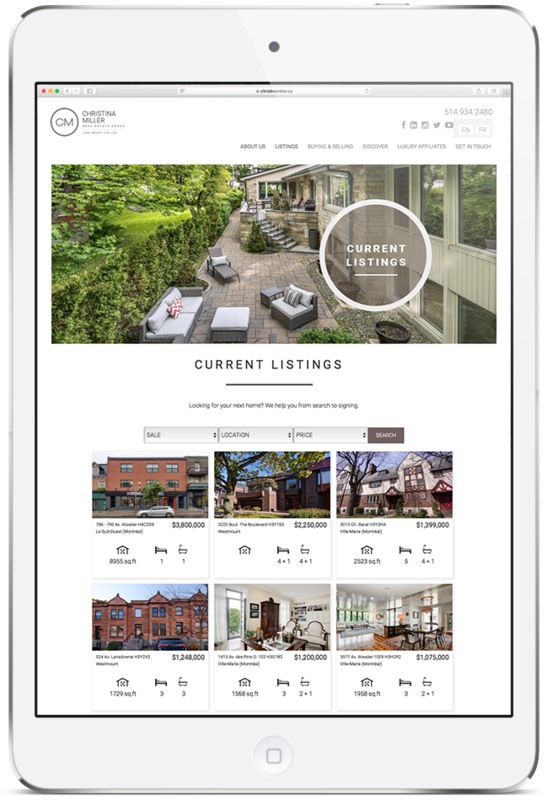 It was vital the new website development was mobile-friendly and featured a web tool that could import Centris listings directly into their website. Their WordPress website development is fully mobile-responsive and features a refined navigation structure, streamlined user experience, social media feeds and a user-friendly content management system for the backend. Website content and listing updates are performed easily by staff, while security and site updates are included as part of their website maintenance plan. We also built a custom WordPress plugin to automatically sync their daily feed of Centris listings to WordPress. The custom plugin also permits adding exclusive listings manually to the website. The real estate top producer now has all the tools needed for a successful online presence. For more information about our client’s experience or how Sociation can help you, please contact us.